Have you ever dropped your car keys into a snowbank? That’s the idea behind the “Ice Pool of Terror,” one of the new attractions planned for Spring Fling 2017, which runs from 3:45 to 8:45 p.m. May 5 at the Penn Manor High School East Gym and cafetaria. During the “Ice Pool” challenge, participants will have to wade into a kiddie pool filled with ice to find that one key — among several others — that opens a treasure chest with prizes inside. 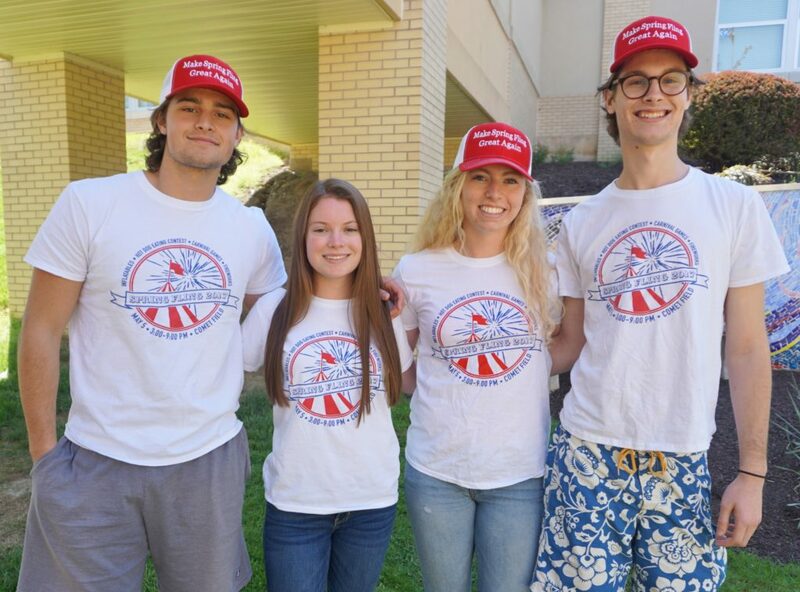 Spring Fling also will feature a dunk tank, a hot dog-eating contest, inflatable rides, obstacle courses, a chicken barbecue and other foods, musical performances, games and fun fundraisers to support more than 25 Penn Manor High School student clubs and organizations. Also new this year, participants will be able to purchase an all-day inflatable ride pass for $15. More than 100 student volunteers are working the even. Parking is free, but donations to the Penn Manor Family Fund will be accepted. Tickets for the chicken barbecue, run by the Comets football team, are available in advance for $9 for a full meal or $6 for a half piece of chicken, by emailing ray@t1ag.com. Meals can be picked up from 10 a.m. until 6 p.m. May 5. Spring Fling 2017 coordinators are, from left, Cole Heckaman, Amanda DiCamillo, Hannah Brown and Cameron Lovett.